 Own a piece of Wrigley Field history! Please visit Cubs.com/SeatSale for detailed information. As part of our ongoing effort to restore and modernize Wrigley Field, several sections of seats have been or will be removed and replaced during the offseason. Seats removed from the ballpark have been authenticated by Major League Baseball and are now available to purchase as two-seat sets through the Wrigley Field Seat Sale. This Wrigley Field Seat Set was removed during the 2018 offseason. Please allow 10-12 weeks for delivery after the purchase is made. By purchasing this item, you are expressly acknowledging the following conditions of this item: All items are sold "as is." All sales are final. No refunds, returns, or exchanges. Each Wrigley Field Seat set includes a hologram signifying its authentication by Major League Baseball. 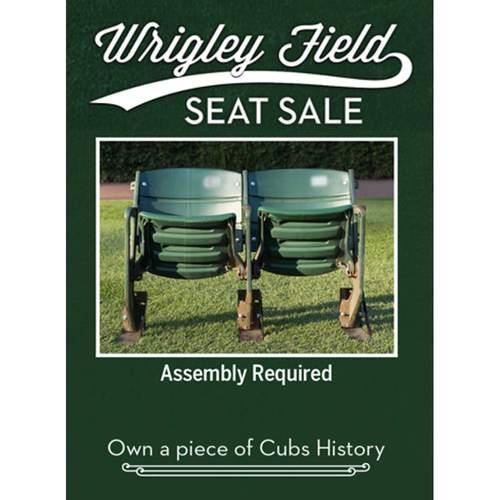 If you have any questions about this item, please email wrigleyfieldseatsale@cubs.com. Please note this image is for descriptive purposes only and may not represent actual sale item. The enclosed MLB-authenticated Wrigley Field seats are sold solely for sports memorabilia display purposes only. By purchasing and/or accepting delivery, you agree to assume all risk associated with such seats. Even after securely attaching the "L" shaped brackets that are provided to you, the seats could collapse or tip over, which could cause serious bodily injury, including, but not limited to, head, neck and back injury. DO NOT SIT IN, STAND ON, OR OTHERWISE USE THE MLB-AUTHENTICATED WRIGLEY FIELD SEATS UNTIL THE "L" BRACKETS ARE SECURELY AND PROFESSIONALLY FASTENED TO A SUITABLE FLOOR. Once your stadium seats are securely fastened to the "L" brackets provided to you, call a qualified flooring professional to install the "L" brackets to your flooring. Only a professional will know where and how the "L" brackets may be fastened securely and safely without causing damage to your floor. FAILURE TO APPROPRIATELY ATTACHED THE "L" BRACKETS TO A FLOOR MAY RESULT IN THE SEATS COLLAPSING OR TIPPING OVER, WHICH COULD CAUSE SERIOUS BODILY INJURY, INCLUDING, BUT NOT LIMITED TO, HEAD, NECK AND BACK INJURY. Please note this item is not guaranteed to ship before the holidays. However, you will be sent a letter from the team as well as a certificate of authenticity to signify your purchase. The cost for shipping for addresses within the continental United States will be $132.99. Any purchases requiring shipment outside of the continental United States will require a separate shipping quote. To request a quote, please email wrigleyfieldseatsale@cubs.com.